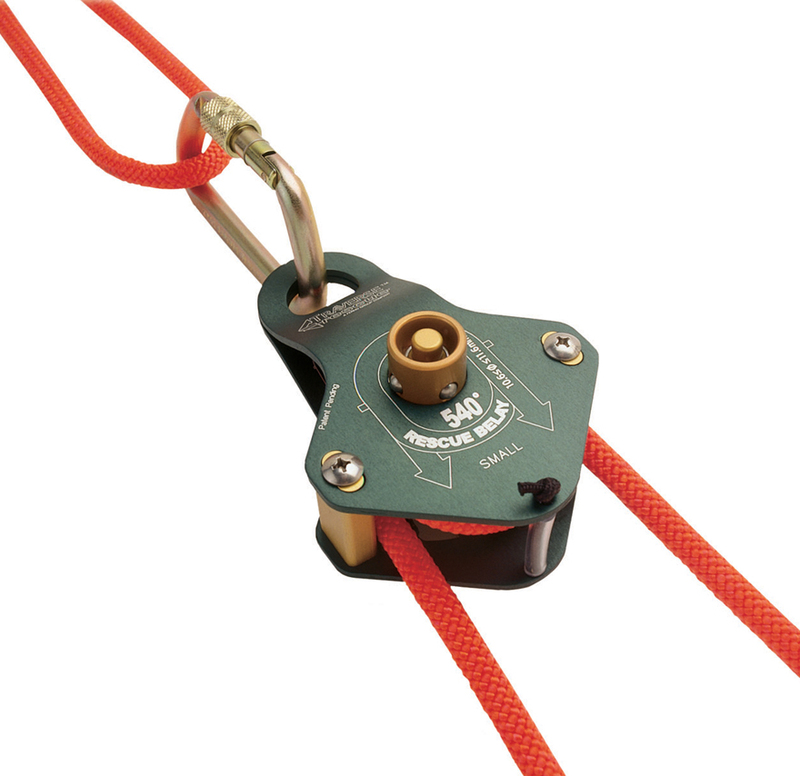 Developed specifically to meet the needs of rescue system belays. The well-engineered Traverse 540° Belay is a patented, self-locking, easy-to-rig device that meets demanding drop-test criteria: able to hold falling loads quickly while limiting the peak force. The symmetrical design reduces the risk of improper rigging. 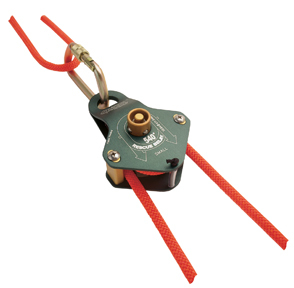 A built-in release lever discharges the tension on the belay rope, eliminating the need for a release hitch. * The British Columbia Council of Technical Rescue Belay Competency Drop Test specifies a 1-meter drop onto 3 meters of kernmantle rescue rope with less than 1 meter of additional travel and less than 15 kN peak force. 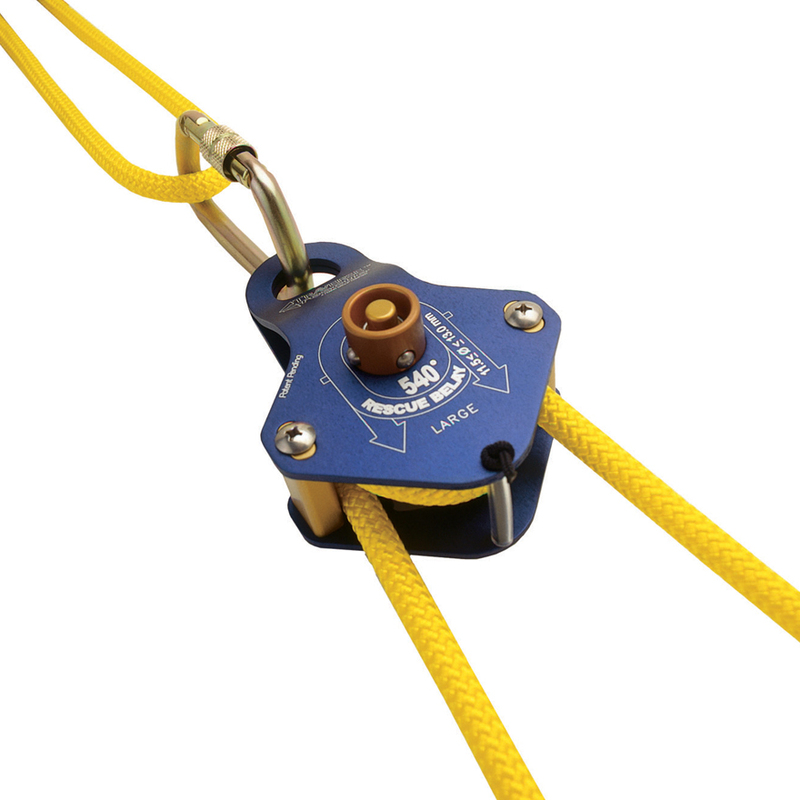 For a General Use rated device, a 280-kg load and a 12.5-mm rope are generally used. For a Technical Use device, a 200-kg load and an 11.1-mm rope are used.